Many adults aren't aware that cataracts affect over 20.5 million Americans over the age of 40. In fact, more than half of senior citizens have some degree of cataracts. A cataract is a clouding of the eye's natural lens. This inhibits the passage of light that is essential for eyesight. Often people over 40 attribute vision loss with age but cataracts do present a number of signs that are different from typical age-related vision problems. Depending on the type of cataract, symptoms include slightly blurred vision, increased glare from sun light or artificial light or a decrease in the brightness of color. Some types of cataracts are completely asymptomatic until they are well developed while others may even show signs of what is known as second sight'' or a temporary improvement in near vision. The term cataract derives from the Latin cataracta meaning ''waterfall''. This may be because the appearance of white opacities in the eye resemble the cloudy rush of water which also appears white. Senile cataracts, which occur in the elderly typically appear as an initial opacity in the lens, followed by swelling and shrinkage of the lens leading to eventual blindness. There is no fail-safe answer to prevent cataracts but some say that reducing ultraviolet exposure your eyes from UV rays with sunglasses can reduce cataract development. Some research shows that antioxidants and limiting consumption of salt may also be preventative. Although early vision loss can be helped using visual aids such as eyeglasses or magnifying devices, eventually eyesight may be impaired enough to require surgical treatment. Surgery for cataracts is in fact the most common surgery in America and is typically very successful. In most cases, the surgeon takes out the lens and replaces it with what is called an intraocular lens (IOL) made of plastic. For 90% of patients, vision is restored to between 20/20 and 20/40. If you are 40 or over it is important to schedule an annual eye examination to check for signs of eye diseases such as cataracts. 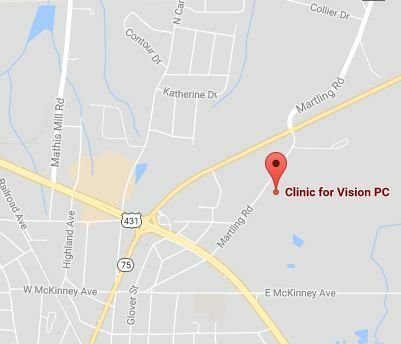 Contact our Albertville, AL eye practice today to book an appointment.